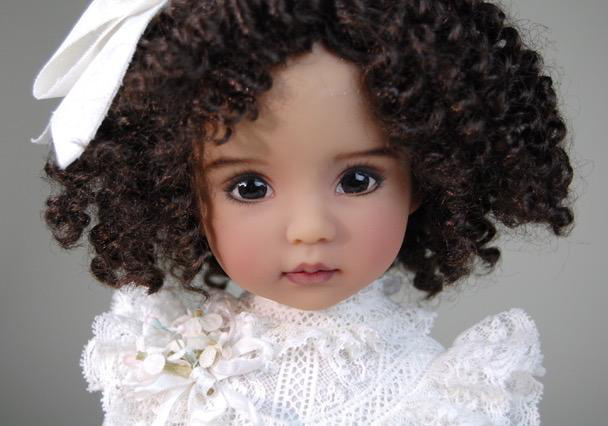 Please allow me to introduce my latest and new favorite character, petite cherie, mademoiselle Suzette Dupre of New Orleans. 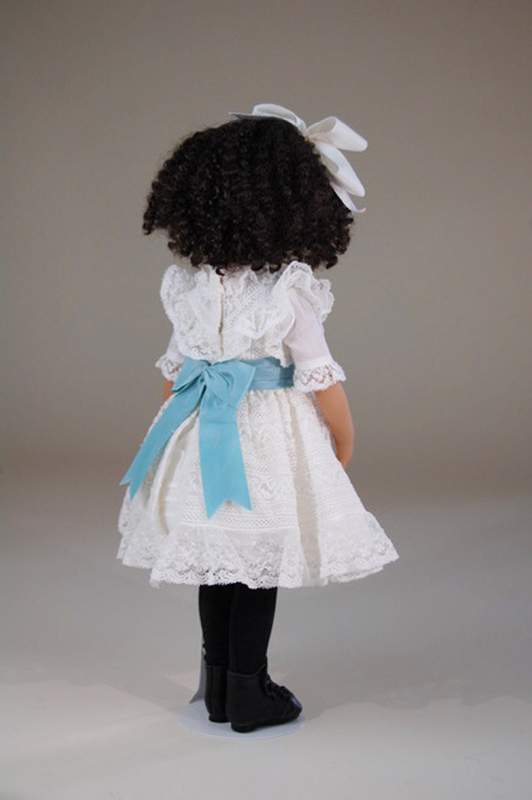 She was created as a souvenir doll for a dinner event at the 2018 Modern Doll Collectors Convention in New Orleans this past September. 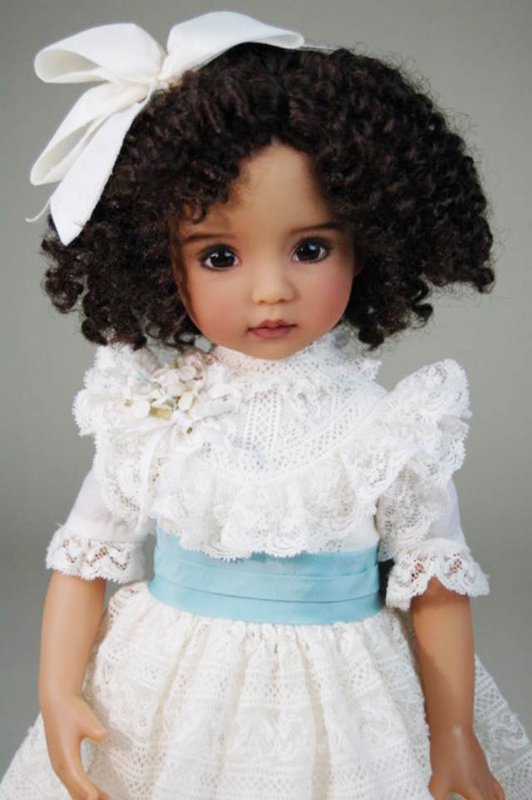 A factory edition of 125 dolls was created for the banquet attendees and was dressed in an "everyday" frock, a historically accurate design by Nelly Valentino. 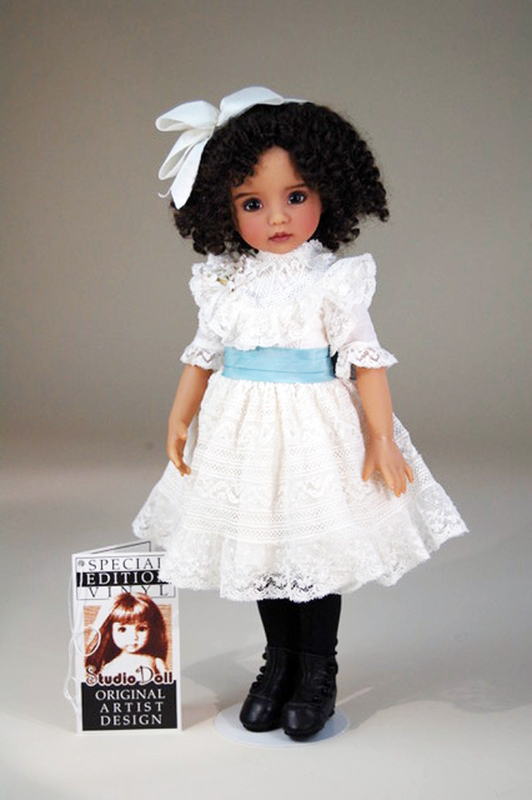 A special version of just 10 dolls was designed as centerpieces for the banquet tables. This was an artist's studio edition, each doll painted by myself. Each studio Suzette is dressed in a gorgeous masterpiece dress sewn of French heirloom Maline lace. The dress was also designed by artist Nelly. Nelly’s sister, Maritza Moran, helped with the design and then sewed the entire edition. As part of the program at the banquet, I read a story about a very special day in the life of Suzette. The story was a collaborative effort written by myself and Juanita Zientara. The story tells of Suzette's life with her family in 1860 New Orleans. It features the story of her beautiful dress. " La plus belle robe du monde! Juanita has created a PDF of the story to make it available to read, download or print. We were proud to present this lovely child of history and give her life by telling her story at the New Orleans event so we wanted to share Suzettes story online here. Click	Here to	Download	Story.